Taxes not included in menu prices. We customize to meet your personal preference. A delicious assortment of our wraps colourfully displayed to please the eye and your appetite. Available in bite-size or full wraps. 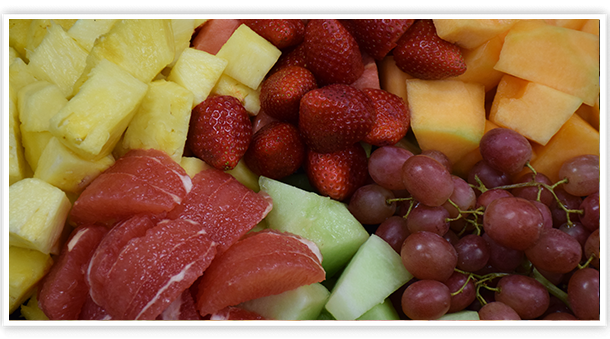 The same as our wrap tray, only in beautifully arranged bite-size pieces. 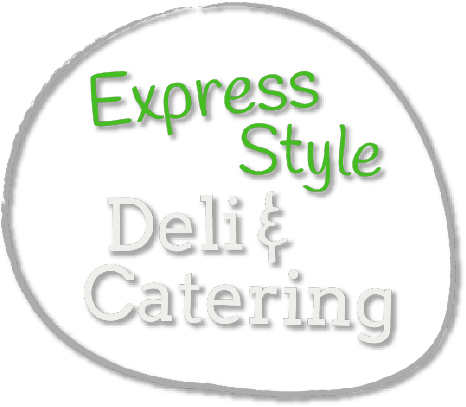 A great combination of our fresh sandwiches and wraps both loaded with fresh veggies. 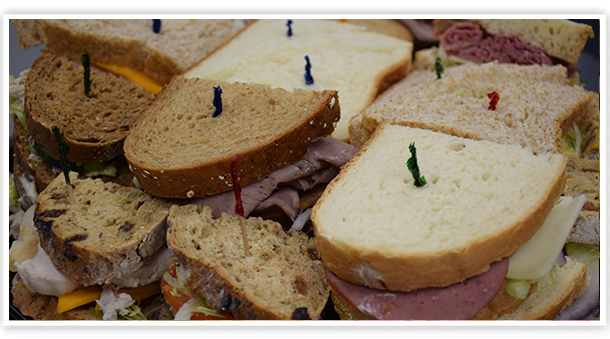 An assortment of our delicious sandwiches served on a variety of fresh breads with our fresh veggie fixings. An assortment of our delicious signature wraps loaded with fresh veggies. 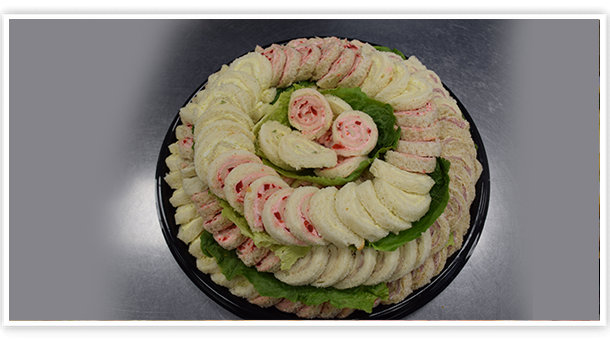 A great combination of pinwheels and finger sandwiches for your more formal functions. Goes great with all our trays. Six different soups daily. 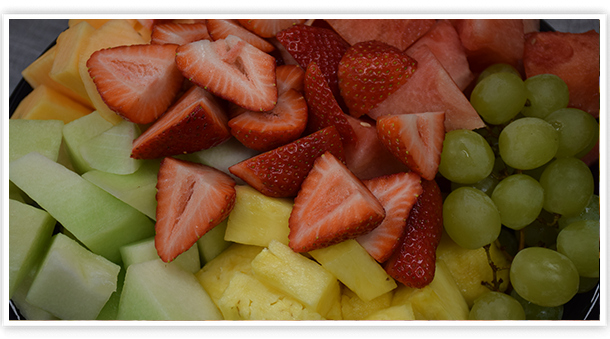 An assortment of sweet, delicious and nutritious seasonal fruit. No dip with this one – it doesn’t need it! Turkey breast, corned beef, roast beef, ham, Black Forest ham, all fresh sliced and rolled. Served with Kaiser buns, cheddar and Swiss slices, mayo and mustard. Let them create their own masterpieces! 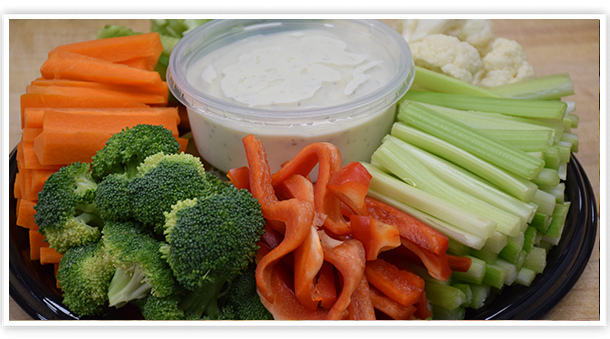 A fresh, crisp assortment of veggies attractively displayed and served with tangy ranch dip – a great accompaniment to our sandwich or wrap trays. Great on its own or with one of our other platters, this tray has a variety of cheese and pickles. An assortment of our large, delicious, fresh muffins. An assortment of our cakes and pastries, all bite-sized – great for a sweet tooth! Bagels, muffins, croissants, scones, Danish and more – start your morning off right with this light and delicious tray.